Why does my Perf Mon Logical Disk Counters for C and D are the same? 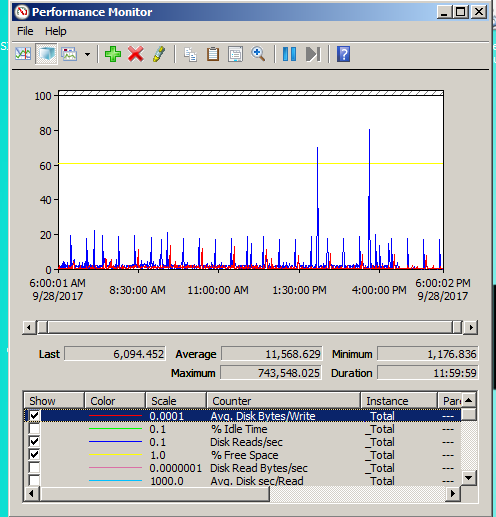 I have been gathering performance counter of 1 of our busiest server and hopefully analyze it after a week long data gathering. To my dismay, when I reviewed all the Logical Disk Counters of drive C and D the where just the same. Based on the definition of this counters there should be a big difference because the D is where the oracle database files reside, it should have a more activity spikes and more average values compared to drive C.
See the Avg. Disk Bytes / Write counter, both the same. Can you please advice what I am missing here. Your Performance Monitor is showing the same details for both, i.e. the total across ALL drives and not just for the C: drive on one graph and the D: drive on the other. I have configured similar and got the same results. This is the same for the Physical Disk counters. Not the answer you're looking for? Browse other questions tagged perfmon window-server or ask your own question. Why can't perfmon see instances of my custom performance counter? 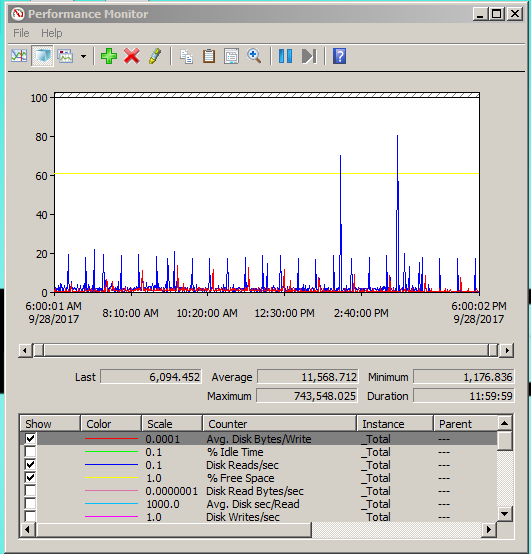 Does windows have performance counters to measure statistics of a dialup connection? Are perfmon performance counters based on the same thing “under the hood” as the ETW events used by xperf? Why is the “Process ID” counter in “.NET CLR Memory” category constantly zero?